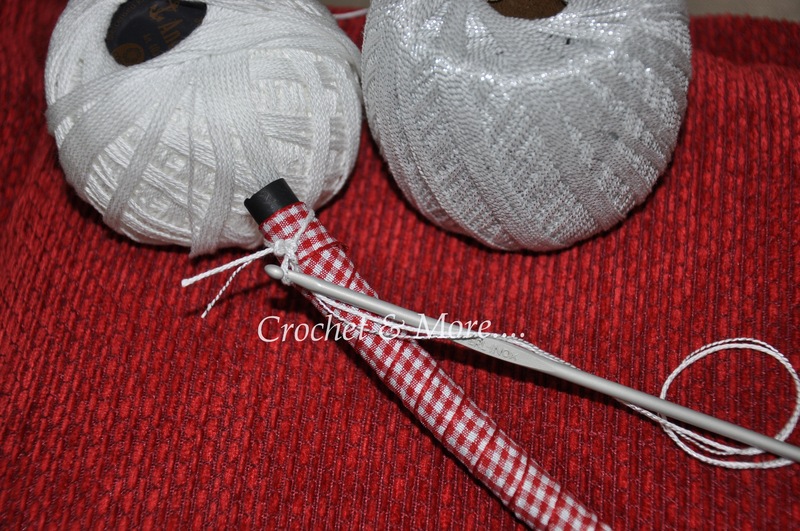 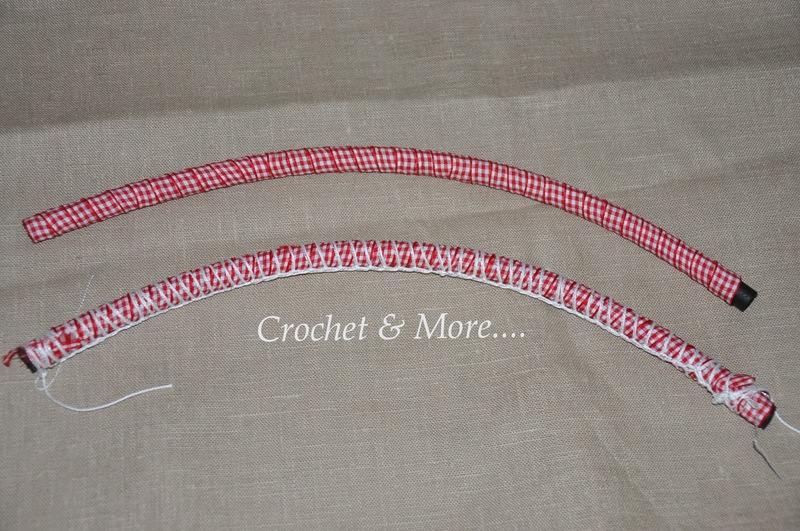 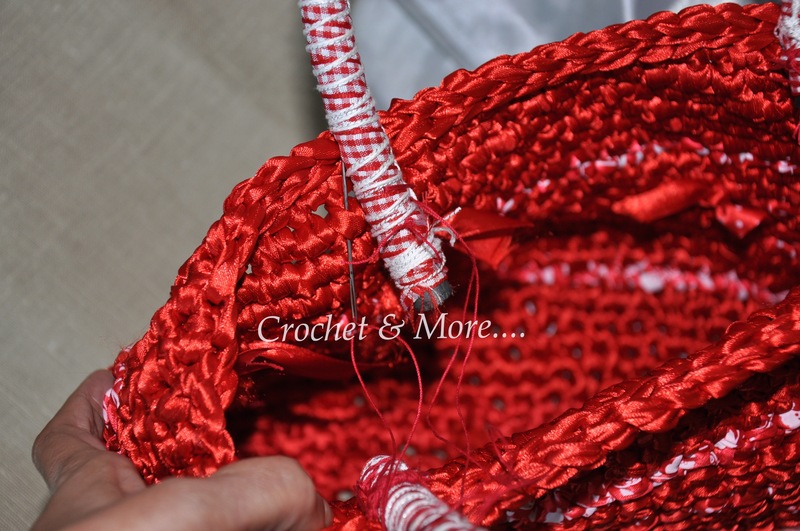 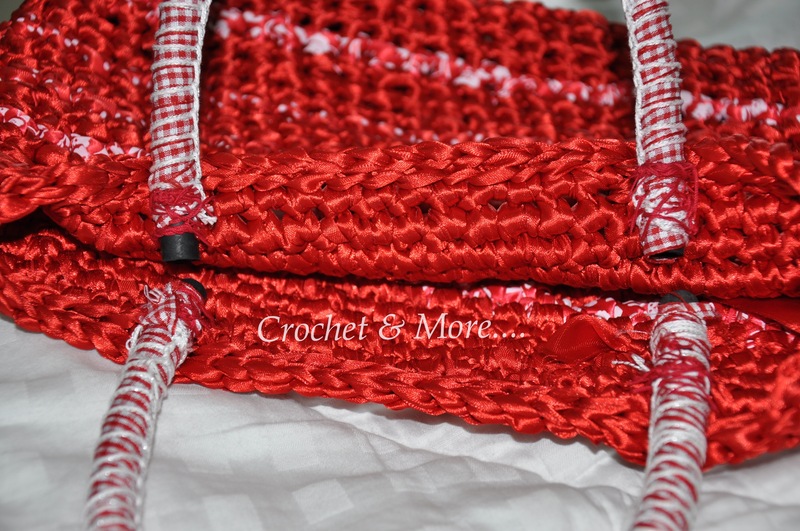 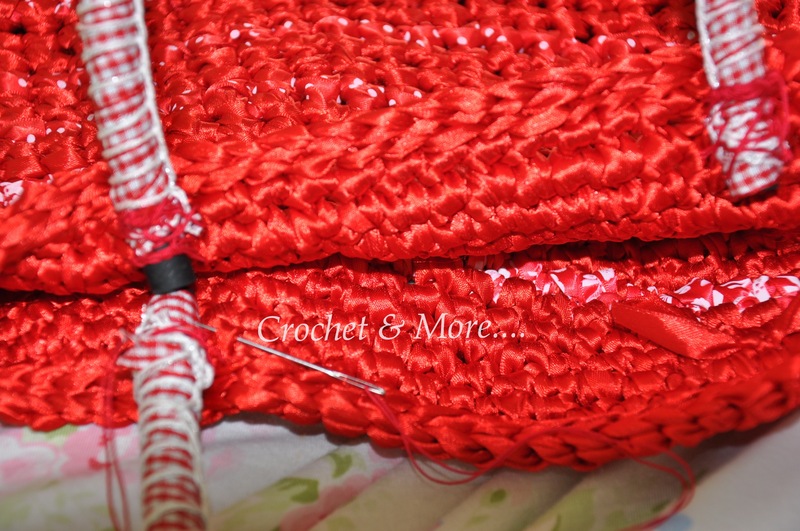 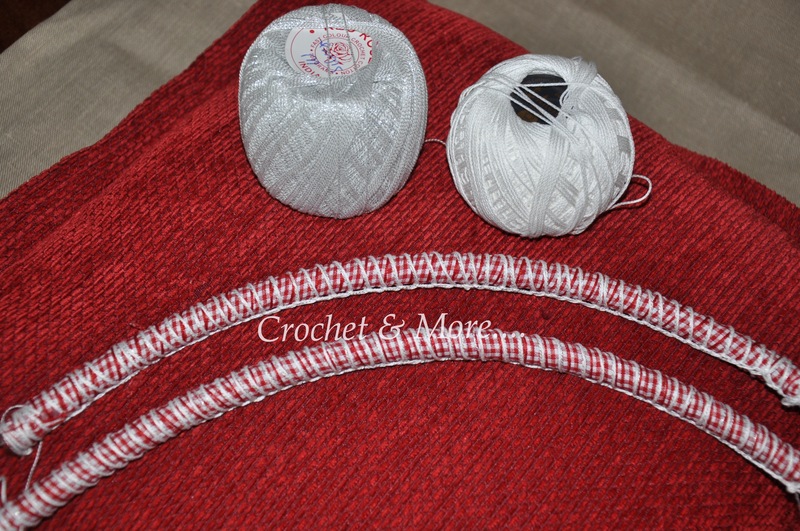 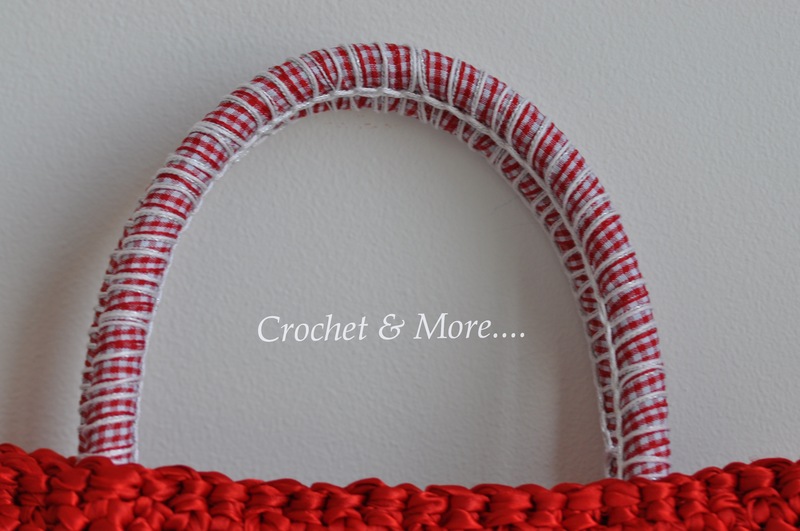 I made these handles for the red satin ribbon bag…One thing I didn’t want was for it to be all crochet. 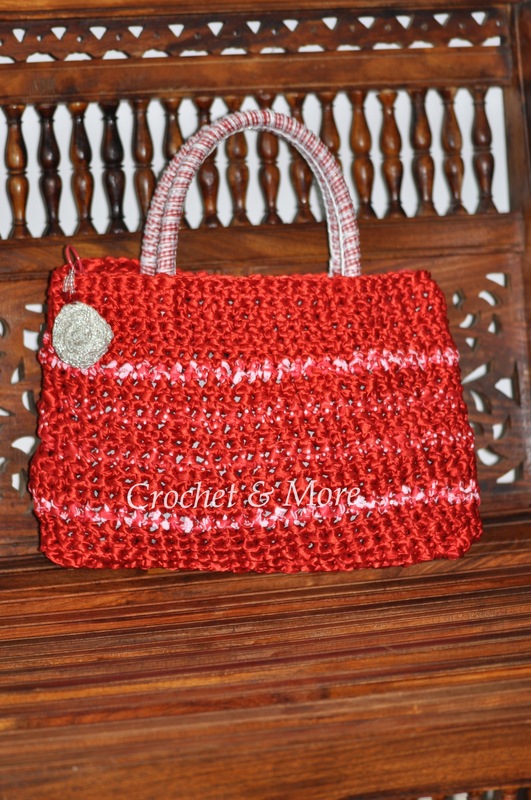 This bag was to be a fun bag….so I who normally prefer subtle colours chose a nice ‘in ur face’ RED. 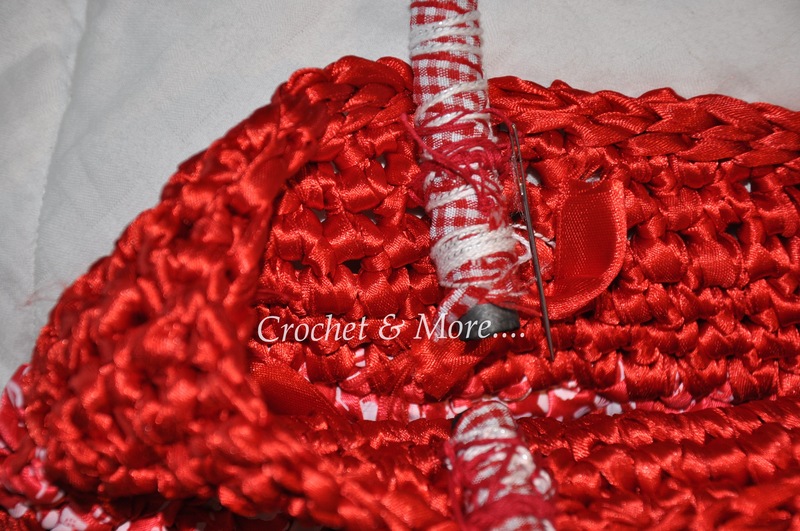 then I chose red and white..flower, polka dot and checkered ribbons to play around in, with the pattern. 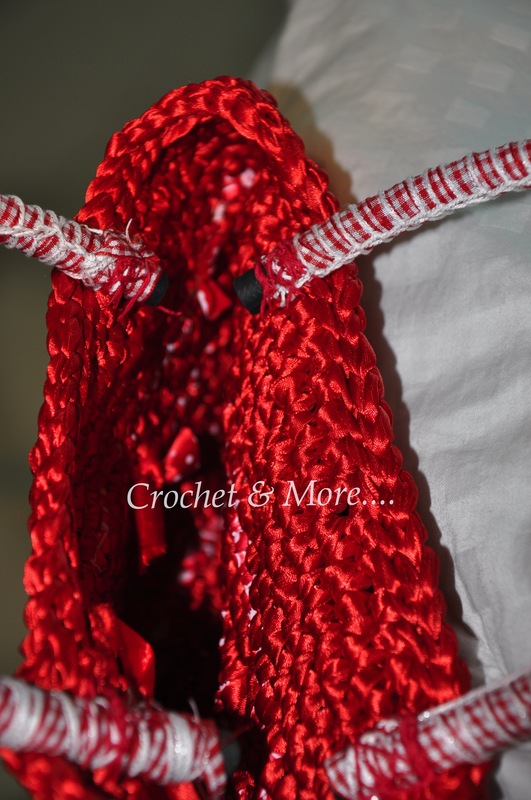 While I used up the flower and polka dotted ribbon in hooking up the bag……I used the much narrower checkered ribbon for the handles.. 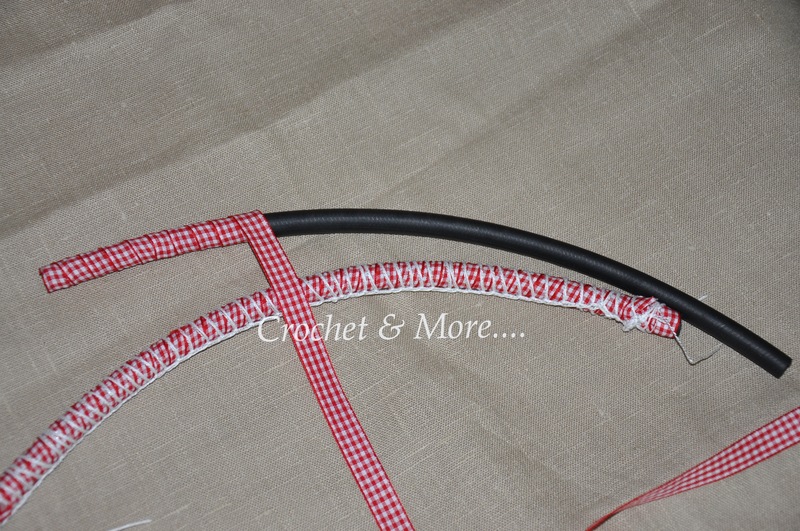 Satin Ribbon in checks: 3 metres or 3.3yards length and 1.2 cms broad. 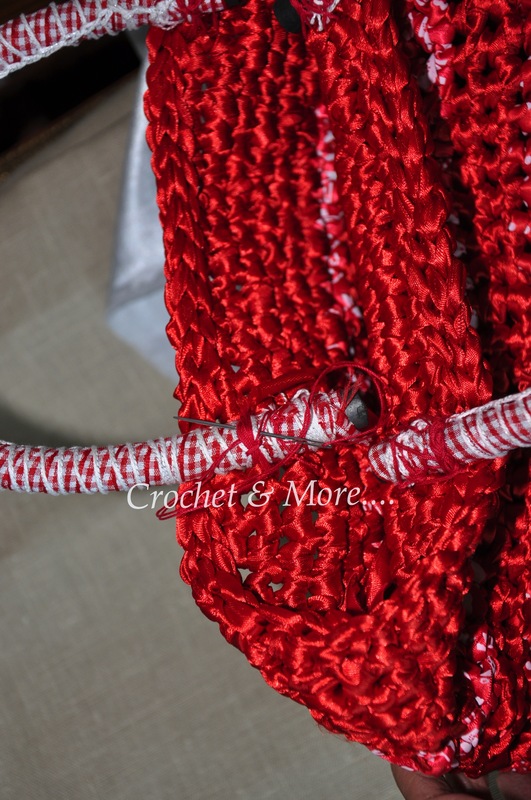 Crochet white metallic thread: Red Rose enough to loosely crochet around the handles. 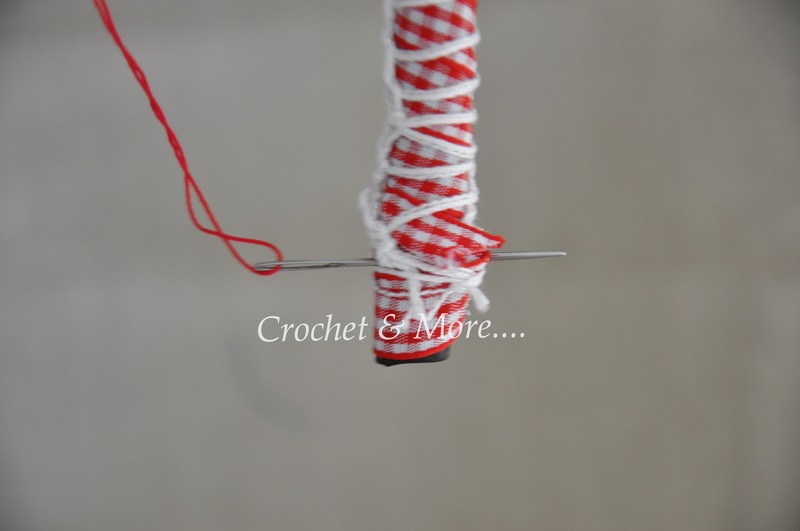 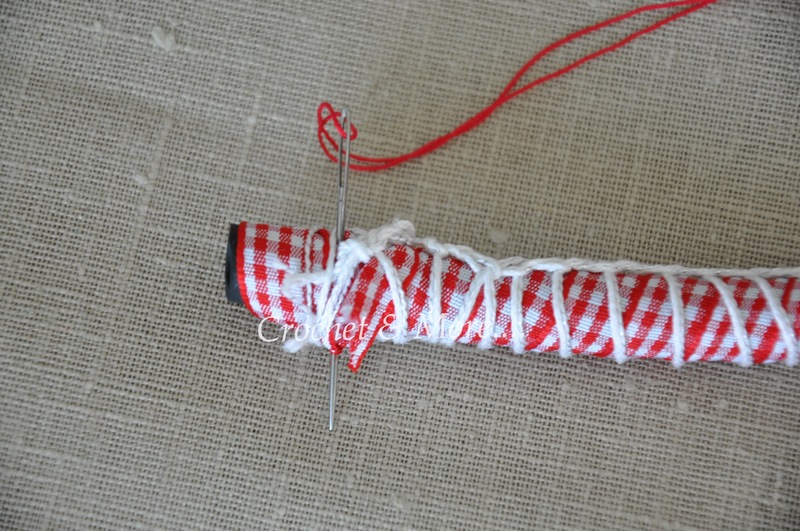 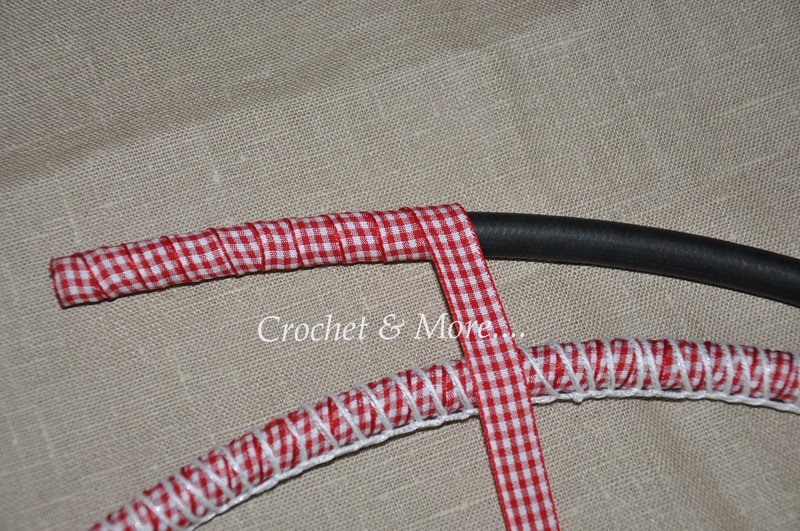 First cut the rubber hose..This one is thick and sturdy…and then wrap the ribbon around it…Then crochet single crochets around the tube to hold the ribbon in and stop it from unwrapping. 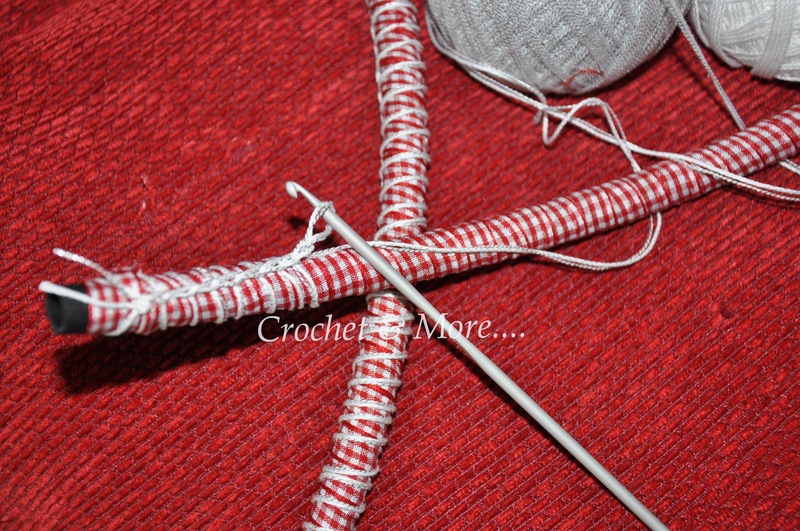 As you can see I have hooked those scs wide apart becos I wanted the ribbon to be seen. 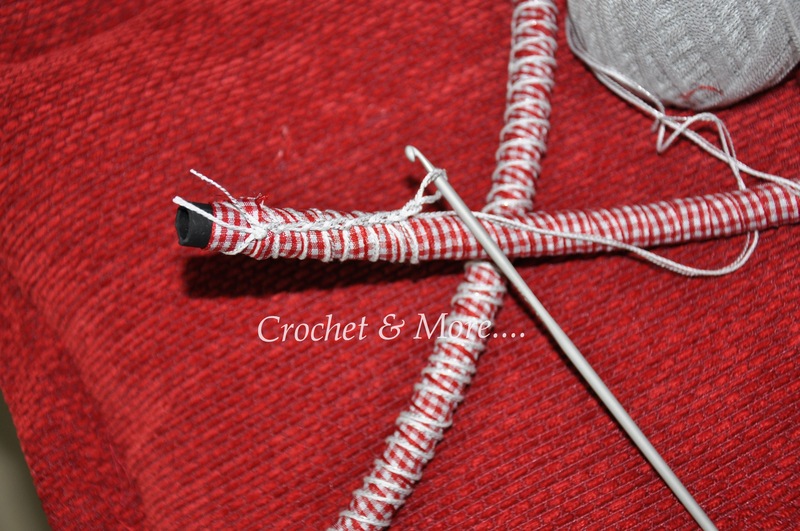 Measure and fix the points for the 4 joints where you wish to fix in the handles. 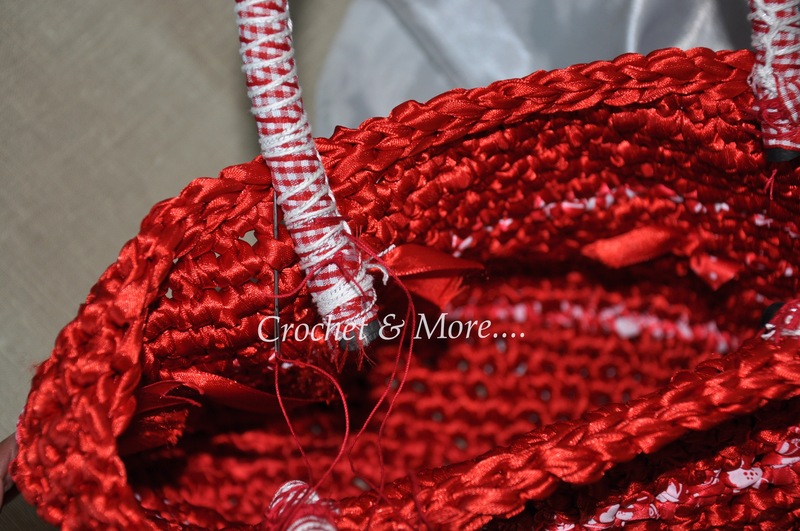 Then thread the needle and push the needle through the tube and sew it into the ribbon stitches of the bag…ensuring that the stitches u make are firm. 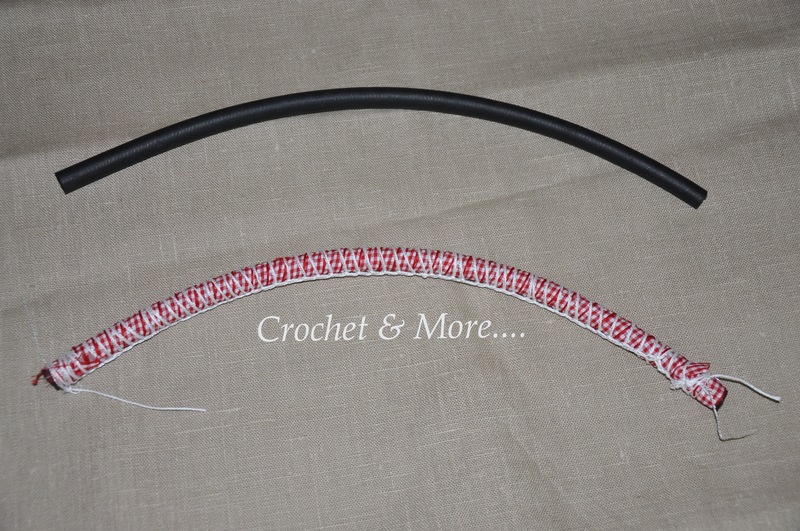 And now for the finished look….